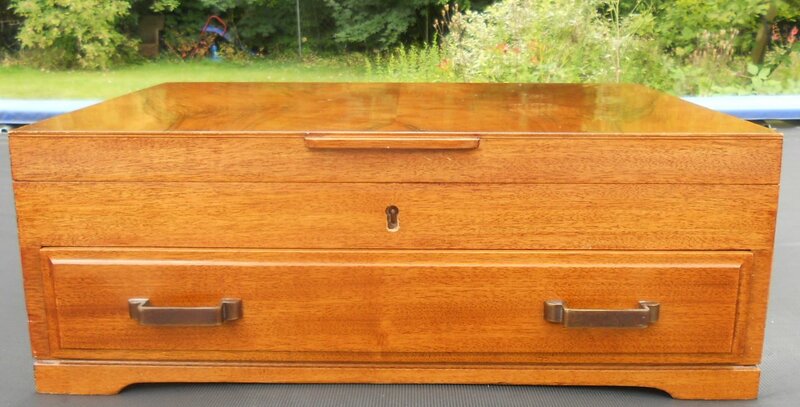 Good quality walnut canteen box. 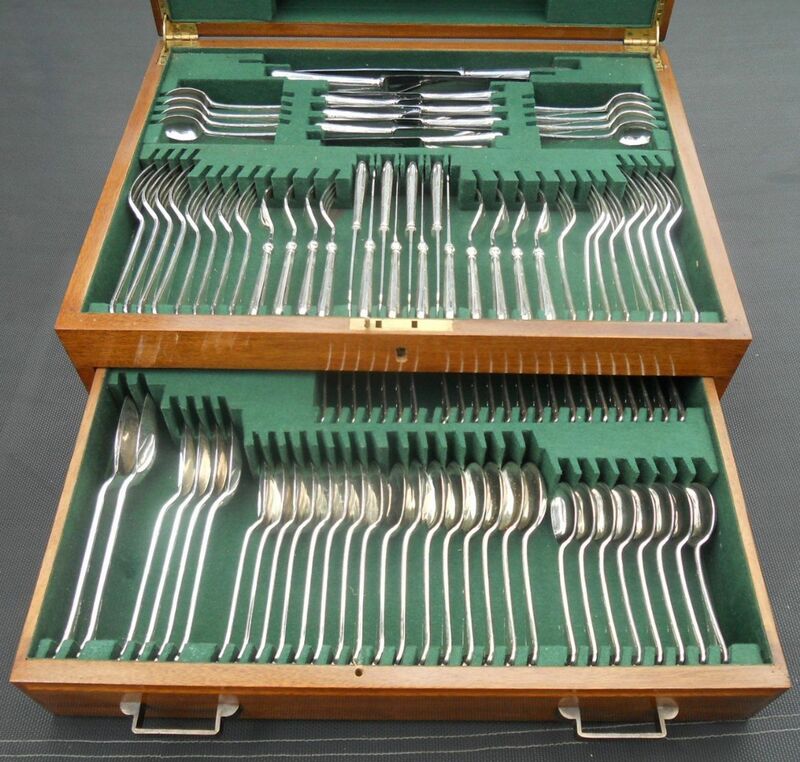 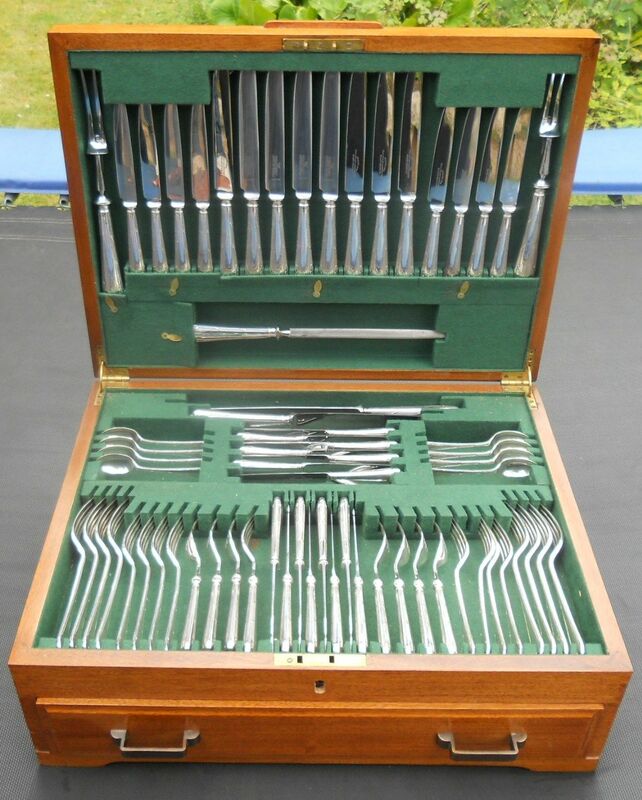 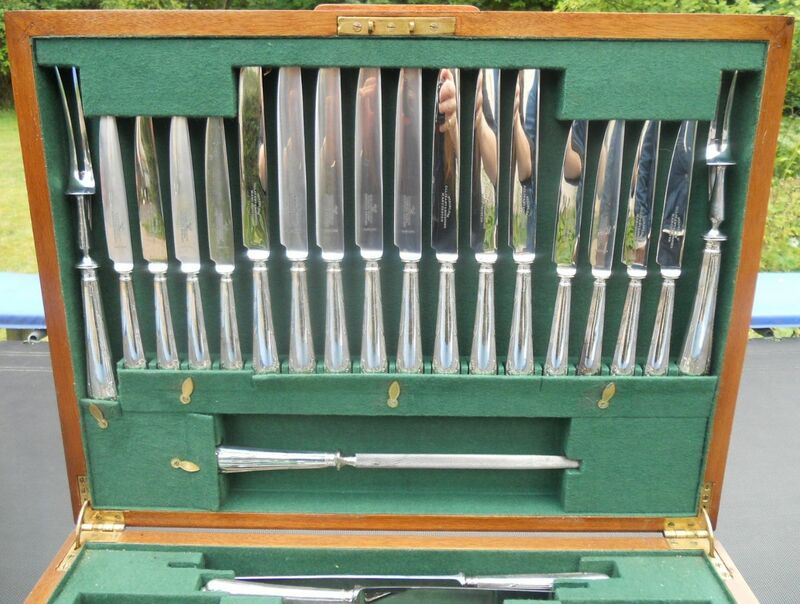 Well fitted with a selection of eight place settings, sheffield silver plated cutlery. 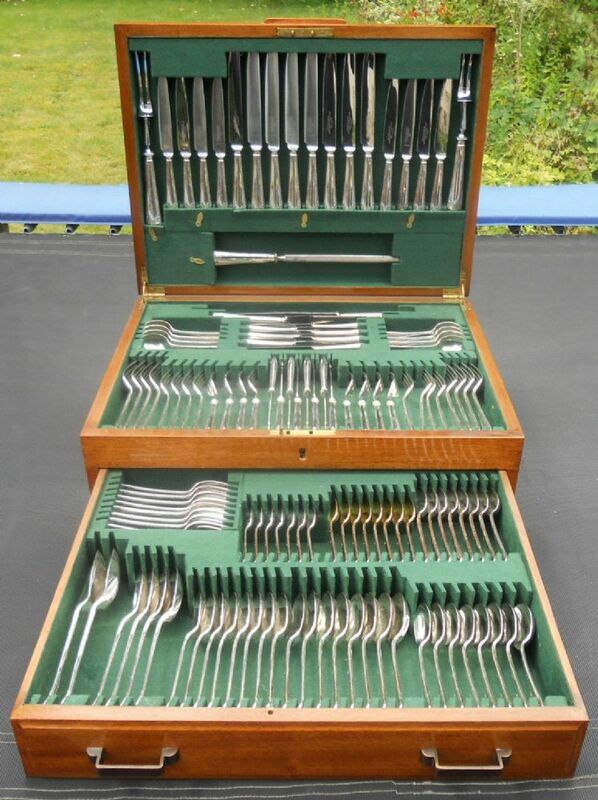 Formerly a Wedding gift in the 1950's this quality canteen box of silver plated cutlery is in good condition, having had little use.